Seward County Community College and the Liberal Chamber of Commerce are hosting the Southwest Kansas Regional Job Fair Wednesday, February 5 from 10 a.m. to 2 p.m. at the Seward County Activity Center. Close to 50 businesses will be represented at the fair, looking for prospective employees. 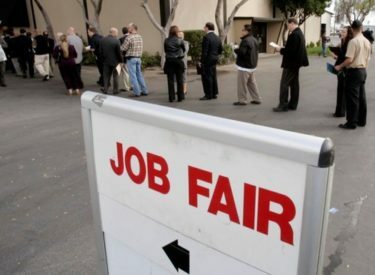 The job fair is free and open to the public. According to Norma Jean Dodge, SCCC director of business and industry, the fair is a great resource for the students as well as the community. Dodge added that the fair also gives those people looking for jobs the opportunity to meet the employers face-to-face while employers can gauge the job market climate by meeting with other businesses. Among the various businesses expected at the fair, include Meade State Park, Oklahoma Panhandle State University, National Beef, City of Liberal, Seward County, car dealerships, banks, hospitals and radio stations.